He has no responsibility in this tragedy beyond that of being a moral and religious teacher. As the situation in Myanmar worsens day by day, and the United Nations calls it "a textbook example of ethnic cleansing", a level of condemnation that is rarely used by the international body, people are looking for people to blame. Blaming the military junta, which is directly responsible for the horror given the powers it holds under the 2008 Constitution, is passé. 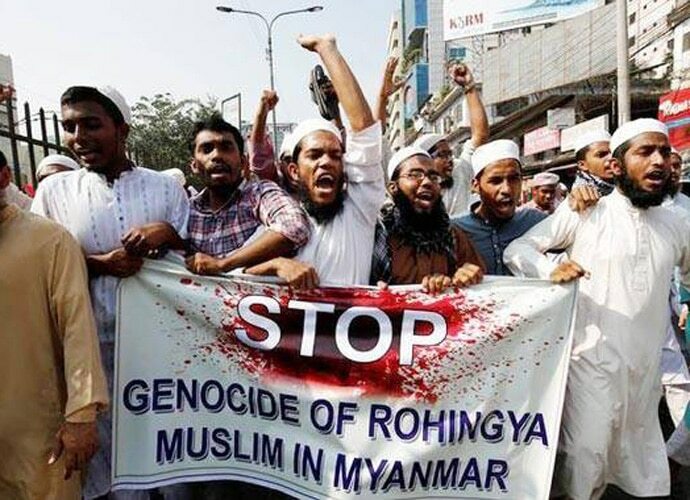 Lambasting Aung San Suu Kyi, winner of the Nobel Peace Prize in 1991, who has over the last few years offered one pathetic excuse or another as this atrocity has unfolded, has also palled. So now the people have turned to blame the 14th Dalai Lama, Tenzin Gyatso, in one of the cases of moral blindness that is shocking in its idiocy. Of all things, they have latched onto the Dalai Lama's condemnation of the unfolding horror and how un-Buddhist it is. His detractors suggest that this condemnation is mild and not enough, some go so far as to suggest that he and other Tibetans should not have been given refuge as they fled the horrors they faced in Chinese-governed Tibet. To say this is ill-informed and nauseating would be to put it too mildly. The Dalai Lama has spoken to Aung San Suu Kyi personally and he has spoken about the issue publicly, not just once, but multiple times. Even if he had not, this condemnation of the Dalai Lama would have been idiotic in the extreme. He is not responsible for the actions of fellow Buddhists in Myanmar. He has no political power over them, and he has done nothing, nor said anything, that would encourage such violent, immoral actions. If anything, he has spoken in favour of non violence in even the most difficult circumstances. When more than a hundred Tibetans, both monks and ordinary citizens, self-immolated in protest, he empathised with their distress but did not approve of the violence - directed towards themselves - as a form of protest. At a reception after the elections, he expressed his delight at finally doing so, saying that since the religious role had been merged with political powers in the time of the 5th Dalai Lama there had always been controversies, and he hoped that with dispensing with the remnants of political role - he had been slowly passing power to elected representatives since the foundation of the Central Tibetan Administration - the controversies would end. Obviously his expectations for good sense were not in line with what people display. He has no responsibility in this tragedy beyond that of being a moral and religious teacher. In that regard, his behaviour has been exemplary. He has gone out of his way to explain to Buddhists over whom he has no political power, that the harassment and targeting of the Rohingyas is against Buddhist teachings and, in fact, the Buddha would have stood by the Rohingyas. This is a remarkable condemnation, only comparable to Pope Francis washing the feet of non-Christian refugees in Europe. 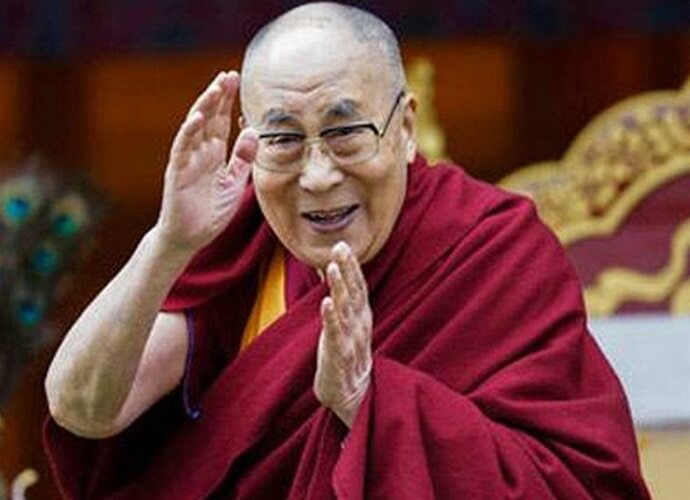 The Dalai Lama has said that the harassment and targeting of the Rohingyas is against Buddhist teachings. What is even more pathetic about those condemning his "silence" (when he has been, by far, the most consistently vocal global figure on this topic) and his "weak condemnation", is that these people would be the first to say that all Muslims are not responsible for the attacks of ISIS, and don't have to line up to condemn each and every ugly attack made in the name of Islam. Or that all Hindus are not responsible for the reprehensible lynching and harassment being undertaken in the name of cow protection, only a small violent minority are. Or that Jews all over the world are not to blame for the war crimes that Israel indulges in. If this consideration is extended to people of all faiths, why are Buddhists, and the Dalai Lama, being singled out? This is hypocritical and ugly. For some ignorant people it is because the Dalai Lama is the "leader of all Buddhists". This is sheer nonsense. He is the most important figure of Gelugpa school of Himalayan Buddhism. It is only one of four main schools of thought of Himalayan Buddhism, even if it is the most influential among them. Himalayan Buddhism is only a small part of the larger body of Buddhism. His influence and position is a reflection of a moral path he has followed - though not unlinked with the politics that afflicts his homeland. But maybe the worst, the absolutely worst, of all the criticism that I have heard is that he, and other Tibetans, should not have been granted refuge if they aren't fighting for the rights of the Rohingyas. Condemning violence, the Dalai Lama said that the Buddha would have stood by the Rohingyas. The support given to the persecuted is not a reflection on them, but on those who offer - or do not offer - that support. If you have the capacity to help those in need, and you do, that is a moral act. If you have the capacity and do not, frankly, you're acting like an a*****e.
Stop suggesting that anybody should have behaved like an a******e to the Tibetans seeking refuge. In the end, all of this is a distraction from the tragedy which is unfolding so that one set of persecuted people are set to hate another set. Focus on those who are carrying out the persecution, the crimes, focus on who is aiding the persecution, who is justifying the crimes. Those are the people that need to be called out, and called to account. Directing hate at those already marginalised, who have pursued a path of rare morality, is the exact opposite of moral. The writer is the South Asia editor of www.thethirdpole.net, reporting on water issues in the Himalayan region.